For logos, we were thinking Elise/Exige/Lotus or no logo as options. The logo would be above the gates on the top part of the plate. I'm not sure if gate numbers would look good here - 6th has been my bane with this project, it's extended pretty much as far as it can go to allow for proper shifting action, which means there's little room for a number below it. Instead of putting the numbers on each gate, you could (possibly) do a picture of the shift pattern...either along side the Lotus logo, or in place of. 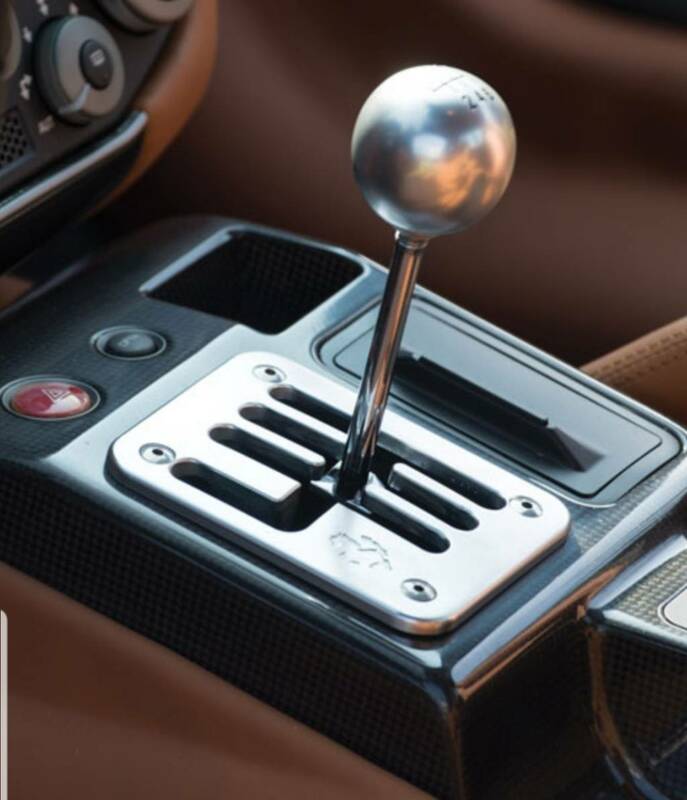 But, the shift pattern is already on the (stock) shift ball, so this might be/look redundant. We could definitely do a brushed look with a clear anodizing over the top to preserve the look! Also lots of other colors to choose from but it will be more costly to do one/two in a color vs doing 10 at a time. Another option would be powder coating ---that would keep the cost down some and also provide almost unlimited colors. Thanks! Those are Eltech V1R's. Not the easiest seat in the world to obtain, my lead time was about one year...but I do love the way they look & feel. I think they're ~3.5 lbs each? I'm a huge fan of matte carbon - glossy can be a bit much, but for some reason matte really appeals to me! All the interior carbon is from Greg...totally loving it! Damn that is awesome. I don't see them on Greg's site though...? Were they a special order item? And yeah, the AZ-1 is super fun! Here is a photo of it from the first fill-up I gave her. Those Autozams are so freaking cool. Definite possibility! Though actually the pattern is triply repeated in that case - on the knob, in the gate opening shape itself, and on the plate logo! Ain't nobody going to mis-shift with all of that! To be fair though, I'm running an aftermarket knob myself (a 2.2'' diameter, 1 lb spherical knob, feels soo good), and that doesn't have the gear pattern on it. I imagine many/most of us are running aftermarket knobs. Actually a bit over 6 lbs each, 2.8 kg bare, 3.2 kg with pads. They make a lot of Lotus carbon parts. shay2nak and Varun916 like this. I spent 11 years in Japan and never saw one of those that I can recall. Thanks a million to @Habious for working with the plate to get it to fit - the linkage on 2011 cars is very different, and the initial fit was completely off. We were worried that it wasn't going to fit, but there was enough adjustability in the linkage for fore/aft and side-to-side throw that he was able to fit the plate after several hours of fiddling. I'm hoping that most people won't have to do this, but I did cross-check our S2 linkage and there is a threaded rod that people should be able to adjust throw should things not line up the first time. This is a really good thing for dealing with any inter-car variances we might come across. I've got the next rev mostly ready to go, but was playing around with a different shape that better accommodated gear numbers. Here, the numbers still bite into the perimeter fillet a bit, but I actually think that looks kind of cool. Let me know what you think(obviously the font/text size is just a placeholder). 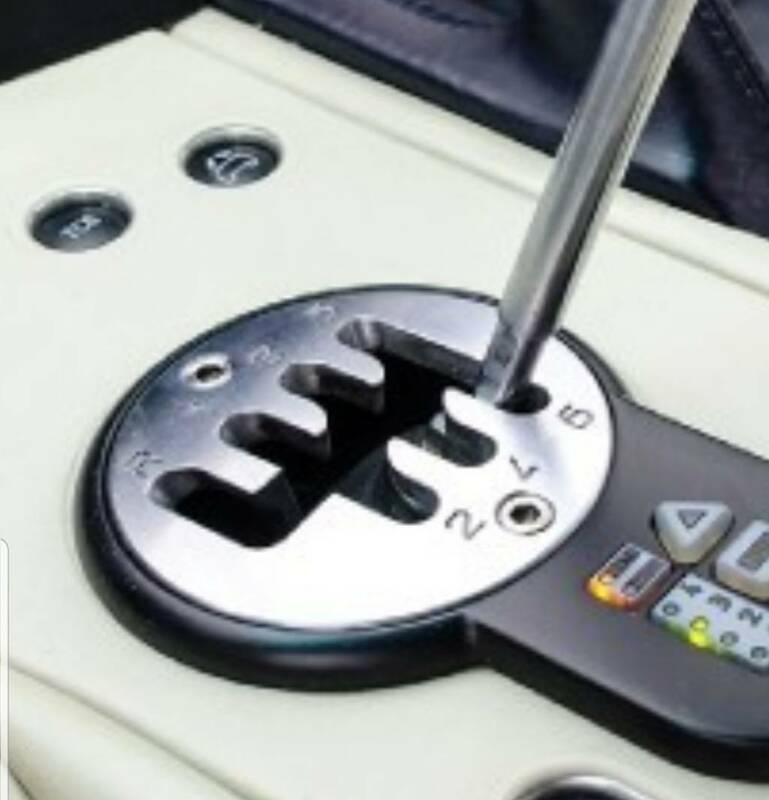 Also attaching a shot of the actual size of the plate on a shifter for reference, as you can see, things get tight around 6th, not a lot of room to expand there. PS: If the plate looks thicker to you - that's because it is! We were worried about the gate walls being too fragile under aggressive shifting, especially R/1, which is thinner to accommodate the throws(Reverse is closer to 1 than 3 is to 1, believe it or not). 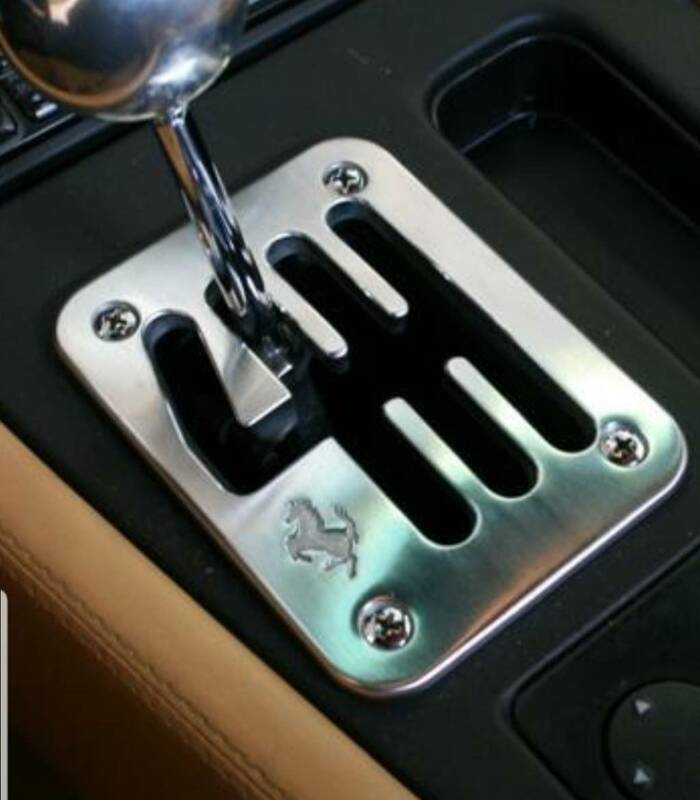 We need this for the Evora 400!!! Goddamn, 1 year?! Where did you order? They're made in Italy? It's a long story - UPS "lost" my package in Wisconsin, so he had to remake it. I have some strong words about what "Brown" can do for me. I'm sure it was stolen. So it was about 5-6 months each time. They are made in Italy. Can you send me a pm about the seats too please? Alright, community feedback time - Came up with a new model with holes coming from the top instead of the bottom after getting some feedback that it was a pain to adjust the plate position with the bottom holes(you have to remove the console to do so). Let me know what you all think. - Possibly stronger, can have a captive nut on the bottom and clamp the ring to the plate without the need for threading holes. - Much easier to adjust the plate as you can loosen the screws with the ring still attached, move the plate around and tighten on the fly. Also attaching a photo of the underside without the plate, to give people an idea of the kind of room we have to work with for the inner plate opening. Last edited by Varun916; 03-25-2019 at 08:21 PM. I actually prefer it like this. Numbers can be nice if you have room but we don't unfortunately with the limited space. 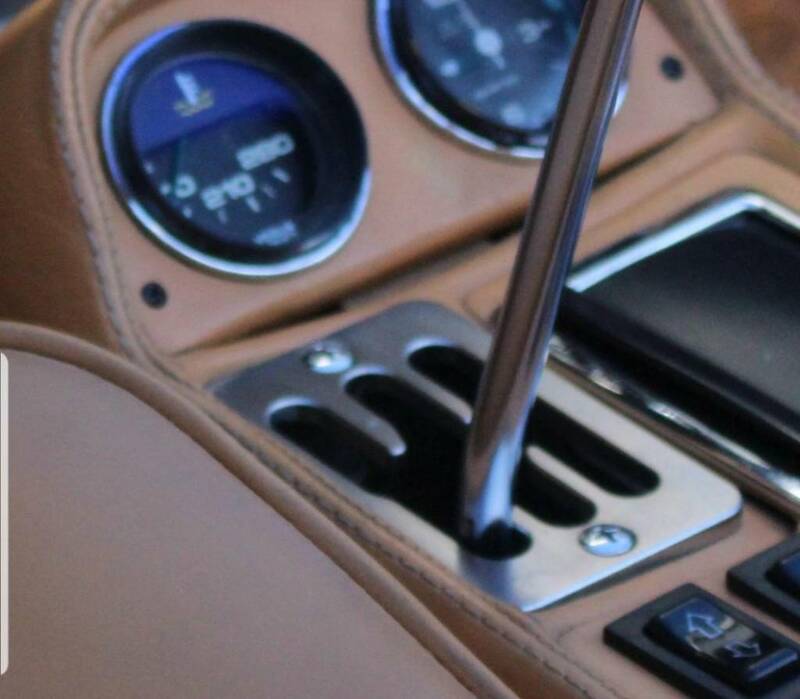 I'd copy the old Ferrari shifters. Bolt on top and bottom to keep it symmetrical if that'll work. Here's an example with just two bolts, ignore the numbers. 4) Tighten screws - done! I don't think it looks bad with the screws on top. Last edited by PeteB37; 03-26-2019 at 04:29 AM. Habious, cmaser and Ryan... like this. Fantastic thread, love the attention to detail and work going into this, I'm sure it will be a quality project!